The best street culture presented at CityOn with Super X. At CityOn, there exists a flash mob shop, Super X.
Super X is established by Snow Beer to show customers the best street culture. As one of the most popular beer, Super X aims to create a fashion phenomenon to thank for customers’ support. On July 7, become a part of this fashion phenomenon. This time, rap performance, street dancing and Douyin dances co-produce an exciting stage. Meanwhile, bartender mixes wines to push the atmosphere to the climax. And bartender mixes wines for customers. It's just like it is real. Skiing in the snow and parachuting at high altitude. Let us feel the sensory stimulation in extreme sports. 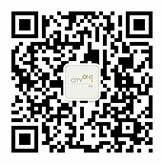 In addition to a variety of stunts, CityOn x Snow super X prepare many awards in interactive games.